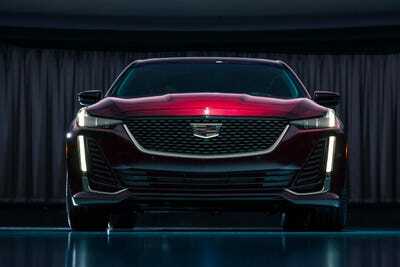 Cadillac rolled out an all-new sedan in the CT5, amid a sea of SUVs and pickups at the 2019 New York auto show. The CT5 gets Cadillac’s Super Cruise hands-free self-driving technology, previously available only on the flagship CT6 sedan. The CT5 continues a design evolution for Caddy, away from the bold shapes of the past toward something more conventionally luxurious. Cadillac bucked an industry trend and revealed an all-new sedan at the 2019 New York auto show. The CT5 slots in below Cadillac’s flagship CT6, which has been around since 2015. Until now, the CT6 has been the only Caddy to offer the brand’s fully hands-free highway self-driving system, Super Cruise. But that technology will now be available on CT5. Design-wise, CT5 continues a theme for Cadillac of removing some of the more aggressive, angular cues that defined the marque for its “Art and Science” period. Smoothing lines and a fastback roofline give the CT5 broader appeal in the overall luxury market. Lincoln has completed the revamp of its SUV lineup with the new Corsair. Now it’s ready to take on Cadillac, Audi, and BMW. CadillacThe CT5 will also be available in Sport trim. 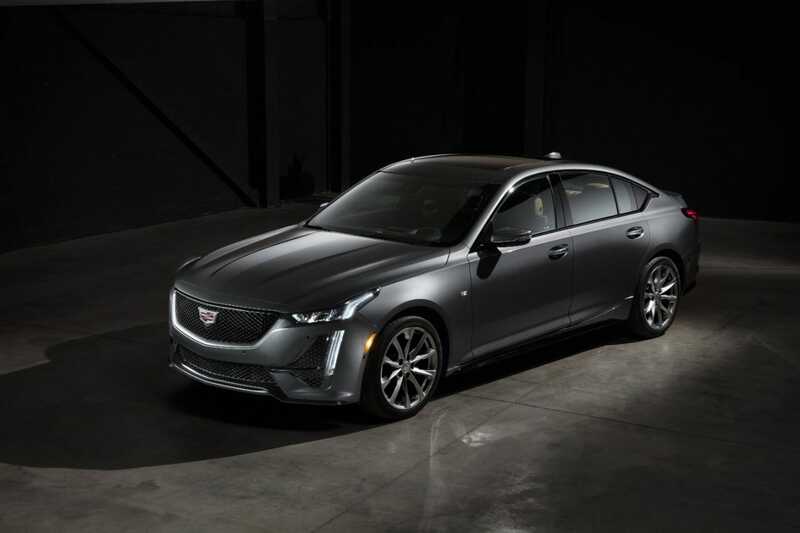 “Cadillac is dedicated to building the world’s most exhilarating luxury sedans,” Cadillac chief Steve Carlisle said in a statement. 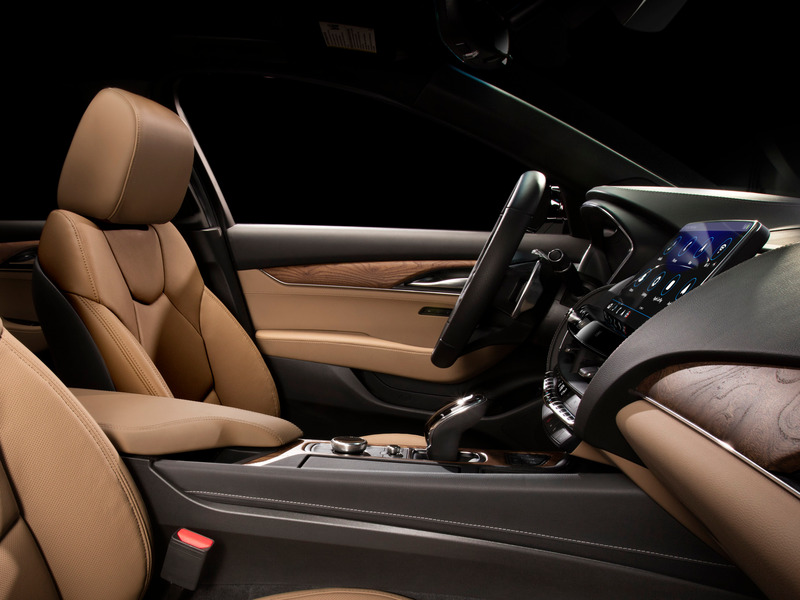 CadillacThe interior is full of premium touches. Two engines are on offer: a 2.0-litre, twin-scroll turbo for the four cylinder, under the hood of Luxury trim; and a 3.0-litre twin-turbo V6 on Premium Luxury and Sport. The latter cranks out 335 horsepower with 400 whopping pound-feet of torque. Both motors are mated to 10-speed automatic transmissions. Inside, General Motors excellent infotainment system gets a rotary controller, moving away from a completely touchscreen-oriented setup. A special Platinum Package adds assorted luxury appointments, including special upholstery options, heated and cooled seats, and carbon-fibre trim. The 2020 Cadillac CT5 will go on sale later this year. The vehicle replaces the ATS and CTS in Cadillac’s lineup and will likely be priced north of $US40,000.